Today we went to the Valley Gardens play park. Our inspiration was to hand out flyers advertising our friend Belinda’s ‘multi hula hooping’ class. 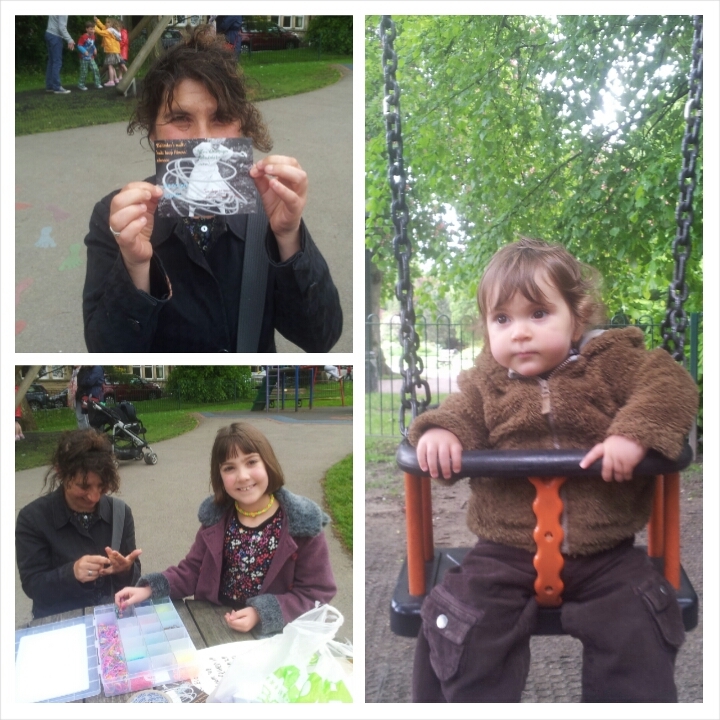 Sophie brought her loom band kit to sell bracelets she had made and Annie enjoyed playing on the swings whilst Belinda and I chatted to the mum’s in the park. It was a very pleasant way to spend a sunny afternoon.